To illuminate candidate neural working mechanisms of Mindfulness-Based Cognitive Therapy (MBCT) in the treatment of recurrent depressive disorder, parallel to the potential interplays between modulations in electro-cortical dynamics and depressive symptom severity and self-compassionate experience. Linear and nonlinear α and γ EEG oscillatory dynamics were examined concomitant to an affective Go/NoGo paradigm, pre-to-post MBCT or natural wait-list, in 51 recurrent depressive patients. 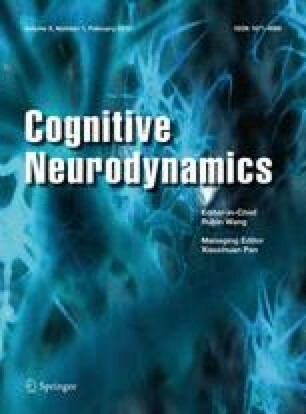 Specific EEG variables investigated were; (1) induced event-related (de-) synchronisation (ERD/ERS), (2) evoked power, and (3) inter-/intra-hemispheric coherence. Secondary clinical measures included depressive severity and experiences of self-compassion. MBCT significantly downregulated α and γ power, reflecting increased cortical excitability. Enhanced α-desynchronisation/ERD was observed for negative material opposed to attenuated α-ERD towards positively valenced stimuli, suggesting activation of neural networks usually hypoactive in depression, related to positive emotion regulation. MBCT-related increase in left-intra-hemispheric α-coherence of the fronto-parietal circuit aligned with these synchronisation dynamics. Ameliorated depressive severity and increased self-compassionate experience pre-to-post MBCT correlated with α-ERD change. The multi-dimensional neural mechanisms of MBCT pertain to task-specific linear and non-linear neural synchronisation and connectivity network dynamics. We propose MBCT-related modulations in differing cortical oscillatory bands have discrete excitatory (enacting positive emotionality) and inhibitory (disengaging from negative material) effects, where mediation in the α and γ bands relates to the former. This work was supported by the BrainGain SmartMix Programme for the Netherlands Ministry of Economic Affairs and Netherlands Ministry of Education, Culture and Science, funded by the Organisation for Scientific Research (NWO); and the Netherlands Institute for Advanced Study in the Humanities and Social Sciences. Much appreciation and gratitude to all those who participated in the experiments. The authors give many thanks to Addy de Graaf for generous assistance with research co-ordination; Katrin Scheibe and Magdalena Kowlaczuk for assistance with data collection; Sietske Heusinkveld, Joyce Besselink, Danique Smeijers, Irma Veliscek-van Maren, and the Radboud University Medical Centre for Mindfulness team for helpful assistance with patient recruitment.